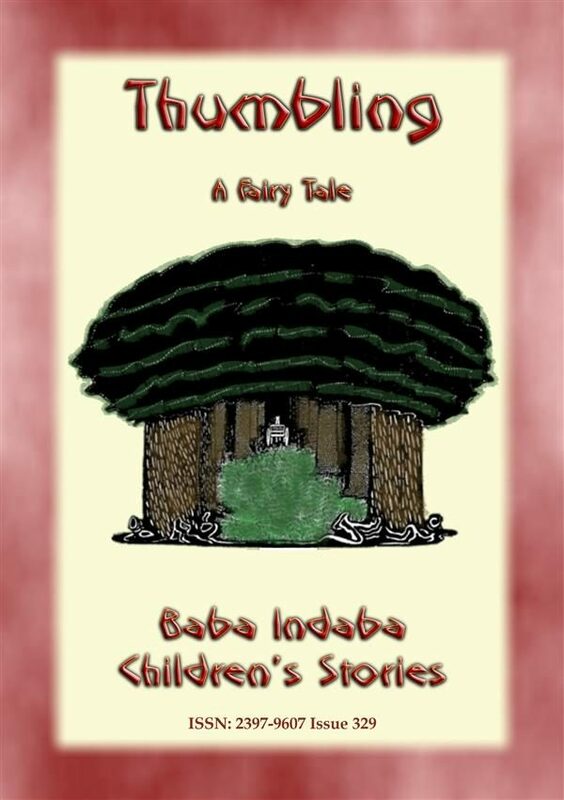 ISSN: 2397-9607 Issue 329 In this 329th issue of the Baba Indaba&rsquo;s Children&#39;s Stories series, Baba Indaba narrates the English Fairy Tale - &quot;THUMBLING&rdquo;. A poor childless peasant couple wishes for a child &quot;no matter how small&quot; aloud. Seven months later the wife has a small child &quot;no longer than a thumb&quot; which they call &quot;Thumbling&quot; and who becomes a &quot;wise and nimble creature.&quot; When Thumbling grows older he wishes to help his father in the chores so one day asks if he can lead their horse to where his father is working by sitting in the horse&#39;s ear and giving it directions. As Thumbling performs this chore, two strange men notice the horse being led by a loud voice, and when they find out the voice belongs to a person sitting in the horse&#39;s ear, ask the peasant if they can buy Thumbling to &quot;make a fortune&quot; in exhibiting the little man &ndash; and that&rsquo;s when the fun starts. Just what does Thumbling get up to? Is his brain more nimble than those of fully grown people or has he bitten off more than his small body can chew? Well to find the answers to these questions, and others you may have, you will have to download and read this story to find out! Baba Indaba is a fictitious Zulu storyteller who narrates children&#39;s stories from around the world. Baba Indaba translates as &quot;Father of Stories&quot;. Each issue also has a &quot;WHERE IN THE WORLD - LOOK IT UP&quot; section, where young readers are challenged to look up a place on a map somewhere in the world. The place, town or city is relevant to the story. HINT - use Google maps. 33% of the profit from the sale of this book will be donated to charities. INCLUDES LINKS TO DOWNLOAD 8 FREE STORIES.